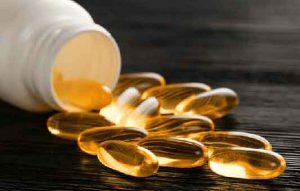 There is little benefit for those over 70 taking higher dose vitamin D supplements to improve their bone strength and reduce the risk of falls, new Newcastle University-led research has revealed. A total of 379 adults aged 70 years or older, 48% women, mean age: 75 years, from the northeast of England, were randomly allocated to 1 of 3 doses of vitamin D3 given once a month for a year – the doses were 300 µg, 600 µg or 1200 µg (equivalent to a daily dose of 10 µg, 20 µg or 40 µg). The primary outcome was change in BMD (ΔBMD) at the hip. Secondary endpoints comprised the dose effects on femoral neck BMD, falls, circulating calciotropic hormones, bone turnover markers, and adverse events. However, parathyroid hormone concentrations decreased in all 3 groups, with a significantly greater decrease in the 48,000-IU group compared with the 12,000-IU group (P < 0.01). There were no differences in any adverse events between groups, with 3 cases of hypercalcemia, none of nephrolithiasis, and 249 falls observed. “In the summer months, Vitamin D is manufactured by the body when sunlight falls on the skin. We can also get vitamin D from certain foods, or dietary supplements.